"Hey y'all! 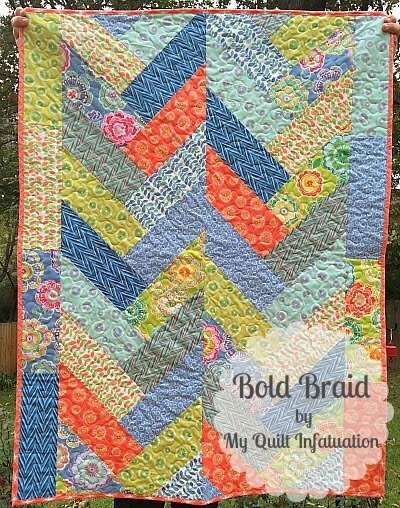 I initially wrote this tutorial for Benartex's Blog, Sew in Love With Fabric a few months ago, but since it's been awhile, I wanted to share it here as well. I used Benartex's Dori fabric line in this quilt, and I just love the bright, fresh colors in this line. 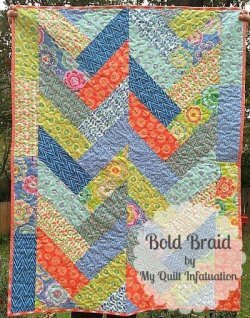 "I love the look of braid quilts and herringbone quilts, but when I'm short on time, I don't want to fuss with all of those tiny strips. 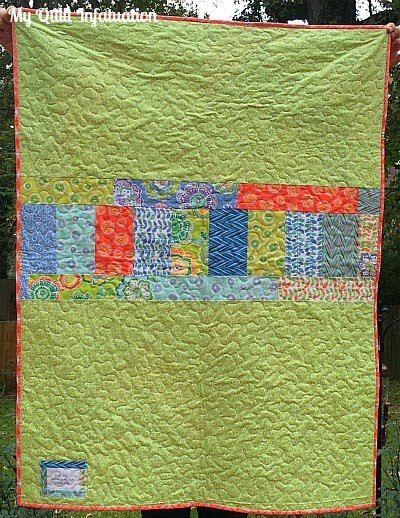 By making the strips wider, you can create a quilt with big impact in a snap! Here's how!"